Let me tell you something about coffee and summer in Japan. Japanese summers are brutal. They're hot, and the rare cooler day is still humid. It's the kind of weather that makes me so incredibly uncomfortable, and I wish that all the good stuff that happens in Japan - Tokyo Game Show, Miku Expo, didn't happen in this season, so I could go at a different time of year. ... or so I would say if it wasn't for Japanese ice coffee. In Australia, an "ice coffee" is generally an oversweet contraption of milk and ice cream, with a hint of coffee flavour buried in from about three drips of the stuff from the barista. Asking specifically for an "ice long black," gets you a proper ice coffee, but whether it's the beans, the machine, or a clueless barista, it's a real roll of the dice as to whether you're going to end up with something drinkable. But in Japan, ice coffee is, as standard, an ice long black, and the Japanese do know what makes a good ice long black. They use good beans, good ice, and prepare the coffee with the right bitterness in mind. My first day in Japan this year wasn't so hot, thanks to some heavy rains, but it was so very humid, and after a day walking around, an ice coffee was the perfect refreshment. 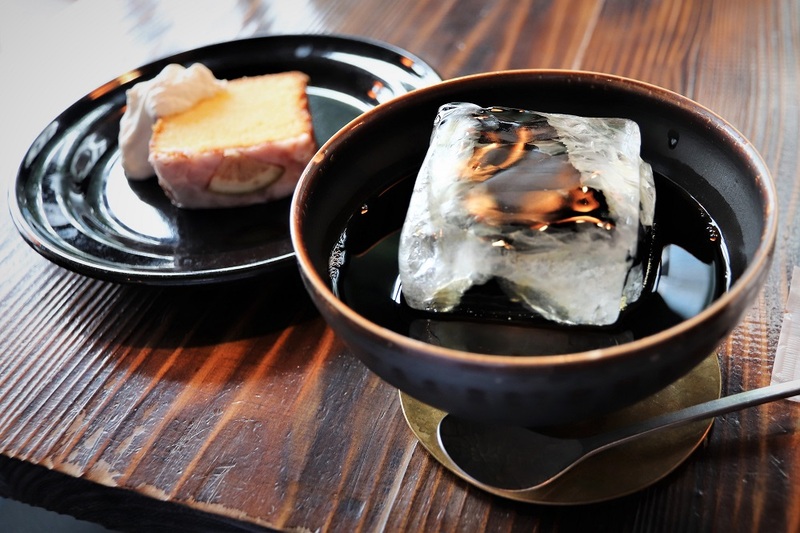 We found a cafe (24/7 Coffee and Roaster in Shibuya) that sold the ice coffee in bowls, with the coffee itself dripped over a giant ice cube. It was sublime. As for where we walked, it was from Harajuku to Shibuya. I hadn't actually been to Harajuku since the first time I came to Japan around 10 years ago, so I was keen to see what my perspective on it would be now. 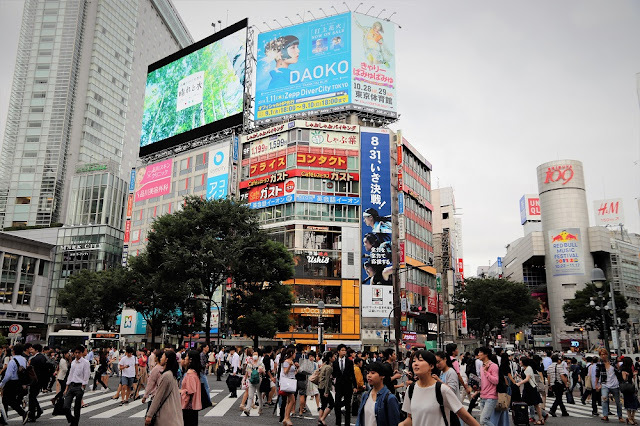 Sunday's the main day for the area, but on weekdays it's still incredibly busy, especially the main shopping street, Takeshita Street, is still an unbroken sea of people. 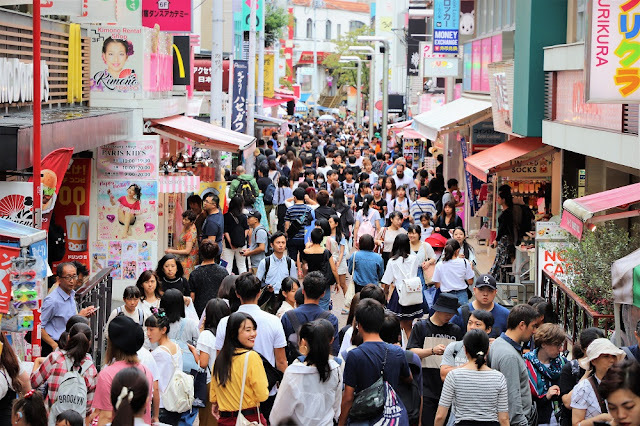 Harajuku is one of the famous areas for subculture in Japan, but it's a very different kind of crowd to places like Akihabara. Harajuku is less about the otaku (though on Sundays cosplayers do show up, it's never about what they are wearing or who they are cosplaying about), and more a celebration of youth culture and colour. Everywhere you look there are pink-coloured crepe and candy shops, and other stores selling bright, if not gaudy, accessories and fashion. It's also a place where prices tend to be quite low because, again, the goal of most of the stores in Harajuku is to sell to teenagers. Getting through the Takeshita Street crowd (pro-tip, you can use the back streets to get from one end to the other and encounter almost no one), and the main traffic street cutting through Harajuku has a slightly wider target demographic than the colourful and cute, and just about anyone will be able to get some good shopping done there if they'd like to. There's also an English pub there for anyone who feels like old style fish and chips. I didn't go into that one, but it looked fun. Shibuya is only a short walk from Harajuku, and takes you through a rather lovely park where the NHK - Japan's public broadcaster - has an studio there. 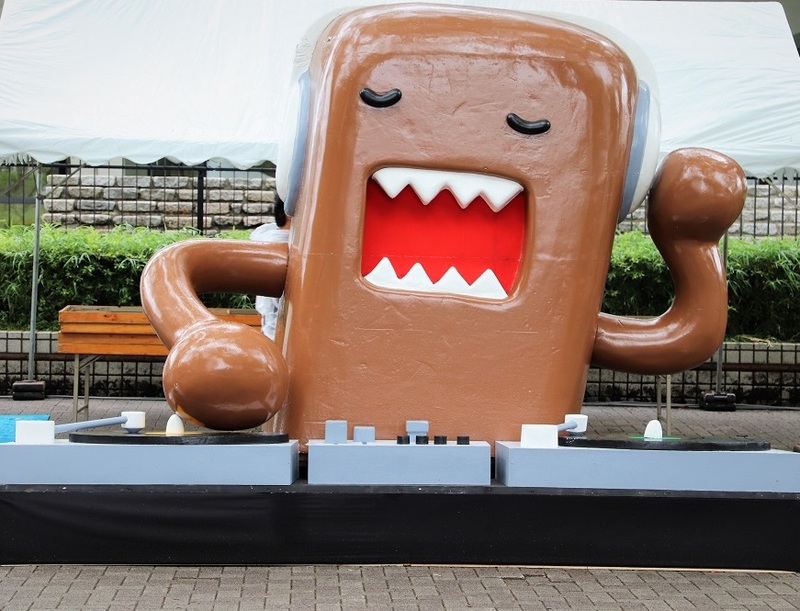 There was a giant Domo - NHK's mascot - out the front, which was fun. There was a lot of activity in the park, as they were setting up for a major jazz festival. I'd go back for that, but it happens this weekend, and I'm going to the Miku concert instead. As for Shibuya itself, it needs no real introduction; it's the busiest shopping district in Japan, famous for the crossing near the train station across which hundreds of people cross every time the lights change. I go there for the massive Tower Records store, which has a really good vocaloid section, but really, any kind of shopping that you're interested in, this area has you covered. Speaking of Miku, Japan's in full celebration around her birthday - the 10th anniversary since she was first unveiled to the world. Miku is everywhere at the moment. In Shibuya, a pop-up store had been set up to sell 10th anniversary goods... and it had already been sold out of most of the good stuff by the time I saw it; a day or so after it was started. The crowd was insane. Miku is a genuine superstar in Japan. It's amazing. Anyhow, for a day where I was too tired to do anything, I ended up doing a lot in my first day.